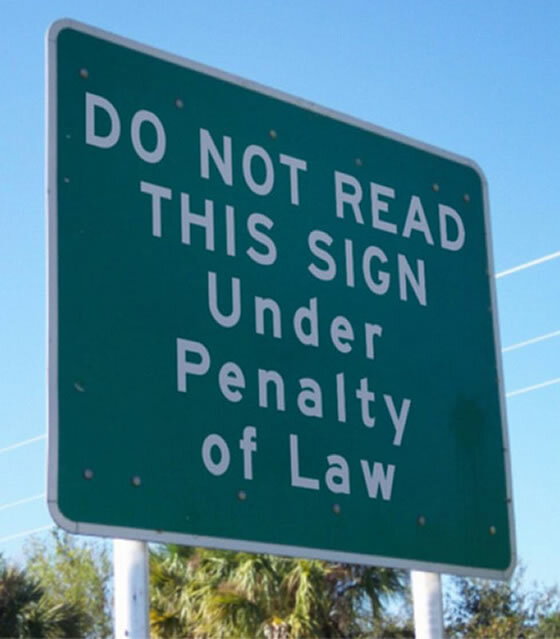 Although traffic laws are put into place to protect us, there are always a collection of bizarre laws that have somehow been passed. Many laws are created out of common sense and necessity, such as stopping at a red light, wearing your seat belt, and no drinking while driving. However, every so often we find out that states have some laws that seem peculiar to us these days. Unfortunately, the process of removing these laws can often be costly and time consuming. Of all the driving laws put into place in New Jersey, two laws have stood out as strange and likely unknown. In 1928, a law was created that stated that all motorists must honk before passing another car, bicyclist, skater and even a skateboarder. Yet, few people actively follow this law. Can you remember the last time a driver had signaled a lane change or pass by giving you a honk? Imagine how noisy the roads would be! Nevertheless, it is always important to completely warn and alert other cars in order to safely change lanes or pass someone. Another law in New Jersey might prove to be more upsetting to you. This law states that if you have been convicted of driving while intoxicated, you may never again apply for personalized license plates. So, if you seriously can’t live without a personalized license plate having a clever tag name such as SUPRBAD or NASD GRL, then avoid getting a DUI, drinking and driving, or consider moving to any other state than New Jersey! Even when a law seems ridiculous and strange, it is still a system of rules that we, as drivers, must recognize. We must understand that officers have the right and responsibility to enforce these laws. Driving laws are created to keep people safe and secure behind the wheel and additionally increase driving safety for teens.